There’s no doubt that if a company is facing insolvency it’s a stressful time for all involved. But sometimes a little extra time is all that’s needed to help get that company back on its feet. This is where a deed of company arrangement or “DOCA” may assist. A DOCA can help a company avoid liquidation and remain in business allowing it to continue with all or some of its usual business operations. A DOCA is a binding arrangement between a company and its creditors, which governs how the company’s affairs and assets will be handled if it is danger of becoming insolvent or has entered into voluntary administration. The main purpose of a DOCA is to produce a better outcome for all relevant parties, rather than simply choosing to wind the company up. The process involves directors formulating a proposal to enter a DOCA during the voluntary administration period, which the administrators then put it to the creditors. If creditors vote for a company to enter into a DOCA, the company must sign the deed within 15 business days of the creditors’ meeting. This is unless the court has allowed for a longer time. A DOCA also binds all unsecured creditors ­– even if they voted against the proposal. Once a company executes a DOCA, the voluntary administration effectively ends and the administration becomes a deed administration that is governed by the DOCA. If the company does not sign within this time, it will automatically go into liquidation and the voluntary administrator becomes the liquidator. A DOCA releases a company from its debts – ­ where the DOCA provides a release ­ – and binds all relevant creditors in respect of debts and claims. The company directors also regain control of the company although with certain restrictions attached. When the company makes its final payment then the DOCA terminates. Following this, the company can continue as a solvent company and moves on from the administration. There are a number of advantages to a DOCA, particularly around allowing the company to move forward if it finds itself in financial difficulty and has appointed an administrator. If the company finds a solution through entering into a DOCA it may result in a better outcome than being wound up. 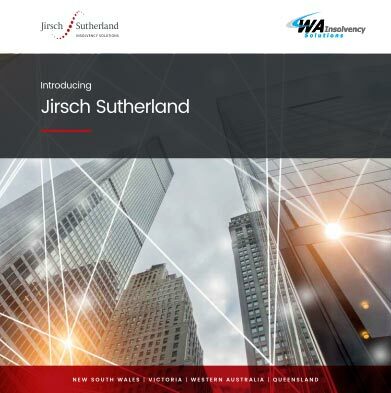 At Jirsch Sutherland we have extensive experience with DOCAs and can quickly and efficiently assess your situation to determine whether this option is the best one for your needs.